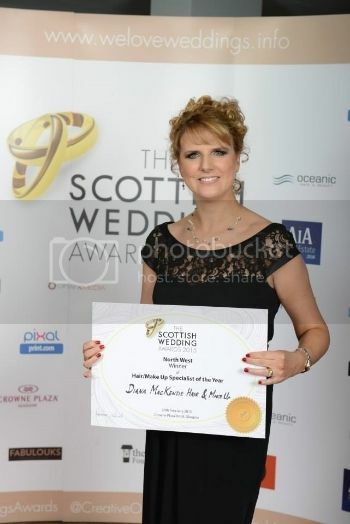 Local Makeup Artist Diana Mackenzie wins Hair and Makeup Specialist for the Year for the North West Region at The Scottish Wedding Awards held at the Crowne Plaza, Glasgow on 24th February 2015. Diana attended the Black Tie Awards Ceremony along with her Husband Douglas Mackenzie. Huge congratulations to all of the other finalists and winners in the industry and to the girls who were on stage with me in the category and of course the overall winner! 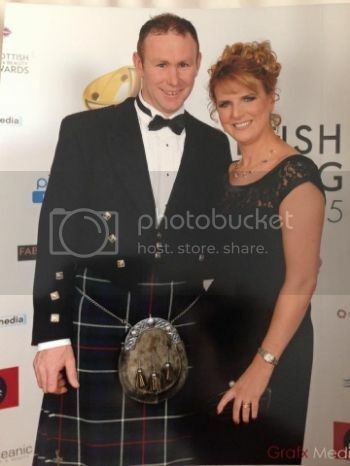 Well done to The Scottish Wedding Awards / Creative Oceanic for such super well organised and truly enjoyable night! I was lucky enough to be there with my Husband Douglas and thanks to my Mum who looked after John to enable me to attend! Thanks again to everyone for such lovely messages and all your support.